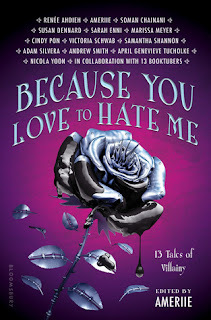 Warning: there may be spoilers for The Orphan Queen. 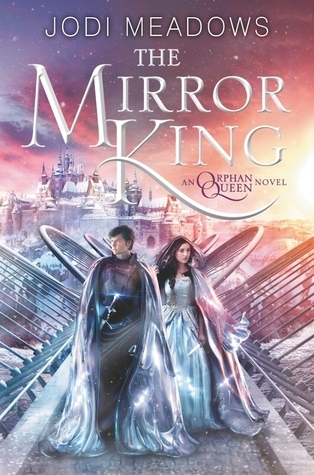 If The Orphan Queen was the duology opener, tinged with a hint of romance, mystery, magic, and political intrigue, The Mirror King is the bittersweet conclusion that deepens the stakes and our understanding of and intimacy with the characters before we let go. Notably, while the Orphan Queen was a nod to Wil's legacy, The Mirror King is the book in which Tobiah must assert his own and accept the burden of his powers. Both characters have their own character arcs -- where the Orphan Queen featured more of Tobiah as Black Knife and Wil's sneaking around the palace, her nightly adventures, The Mirror King is about the myriad challenges that he and Wil face as not-so-future rulers of their countries. Here are the hard truths about being responsible for other lives. The Mirror King picks up right where The Orphan Queen left off: Tobiah has been seriously injured, and Wil is partly responsible for her relation to Patrick, who wishes to put her back on her throne. Tobiah eventually makes a recovery, and the wraith boy returns empty-handed. Tobiah and Wil will have to work together to keep their countries at peace and find a solution to the ever growing wraith problem. They have common enemies, and whatever happens between them, they must ensure that their kingdoms are safe first and foremost. The Mirror King has a lot of plot twists, particularly with regard to the wraith boy and the magic system that Jodi Meadows established, that I didn't see coming. The wraith boy's actions have rippling consequences, and he's much like an inner darkness within Wil (a mirror) that she must confront herself before she can control and prevent any further rashness on his part. Really, he is the first subject she must exert her authority over and rule. Because his understanding is also limited (a creature woken from a deadly mist thing produced by magic users... Mm yeah...), he's got an element of unpredictability that makes The Mirror King feel fresh. How human is he? Is he a part of Wil, and just how far does her animating magic extend? Can he exert his own will and what guides his actions? His limitations and purposes are well explored here. As are the limitations of the magic system in general -- which brings its own surprises. Similarly, now that Wil's magic has been exposed, it's out for good. The Mirror King has a lot of magic, a lot more political intrigue because our main characters have more on their plates this time around. More of the world is explored as well; with the threat of wraith pressing in, we get to see more of other countries like Aecor. We also get to see new manifestations of magic, and clever ways to keep Tobiah and Wil talking even when they are separated, each on their own journeys. On that note, the Mirror King shows how much better Tobiah and Wil are together when they actually work together. The Orphan Queen ended on a less than happy note for their romance; The Mirror King throws quite a few hurdles in their way as well. But when all is said and done, and their countries are struggling, and they are the hope of their people, they work well together to provide the stability needed during crisis. And they'll balance each other. If you liked the mix of romance, magic, adventure and intrigue in The Orphan Queen, you're sure to like the character-focused journeys for Wil and Tobiah in The Mirror King, every bit as magical and romantic as its predecessor. The ending is open enough, I think, for maybe another story, someday, perhaps a novella? Well, one could hope anyway.